Food system is exposed to unprecedented change with few realizing its impact. Corporate control of world food from farm to dining table is steadily growing. The most controversial issue is the genetic engineering which could jeopardize all creatures on earth and its environment. We must ask ourselves how regulations, agriculture , consumers, health, morality should be. There is growing interest in alternative ways such as small scale family farm and organic agriculture. The World of Natural Farming which is sustainable without inflicting harm, non-polluting, destroying or killing. He says "All you need is provided by nature in perfect balance and its first step is No Till." This is an eccentric Illinois Farmer John's biographical story. John is a typical hippie generation who turns his inherited farm into agricultural commune but is a bam for local people. But he knew instinctively the taste of soil. His unyielding farmer spirit, invigorated by Community Supported Agriculture overcomes heart breaks and gives hope to family farmers eroded by corporate farming. Uncle Stone ,living in the outskirt of Taipei, would not give up using pesticide for his lotus plants. 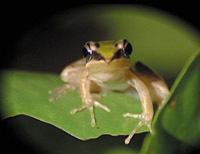 Zoologists are out on a rescue mission to save the pond's rare frog species from extinction. Produced by Maruta Citrus Farmers Co-op. This is the first ever visual film made of soil microbes. Millions and millions of micro-creatures found in tiny little bit of soil. It shows a wondrous chain of life of plants, minute insects and microbes. The film ask "What is it that humans are trying to kill" with the scene of crop dusting. Intellectual Property Right is granted to seeds and nurseries and one must pay Patent fee to corporations. The neem known and used in India for centuries as medicinal plant is now patented by an American who started to sell as pesticide. The film depicts female farmers who stood against it to protect their seed, food and life. 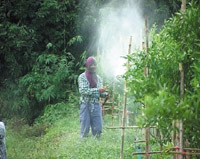 Pesticides harmful to human health had been used in orchards in northern Thailand. The farmers took a stand to oppose the government's policy of encouraging pesticide use by growing pesticide-free produce. 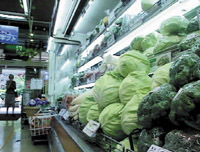 Are cheap imported vegetables really safe? What is the impact of transportation on environment? The film depicts intent of profit seeking Global Agri-buisiness and the reality of agriculture in Japan and asks how our food should be. The people of Negros Island in the Philippines were at the mercy of world economy when they were growing sugarcane. Today, the farmers are independent and work in harmony with nature growing organic bananas with the help of international support such as fair trade. Two million people in Havana City are self sufficient. Music, dance and baseball are not the only things of Cuba. It is now Urban Agriculture which is producing vegetables and fruits without pesticide on every available space in town to become self sufficient. The doctors at Saku General Hospital suspects organic mercury as the culprit of symptoms of suffering farmers. Local medical care that probes into cause and communicate the danger of pesticide to local people raises public concern. The question of the use of chemicals in agriculture as a matter of course is still valid today. 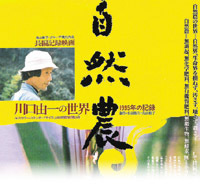 Historical record films of pesticide use in Japan tell us views surrounding pesticide and its impact on people. Also gives testimonies by people who work on pesticide issues.